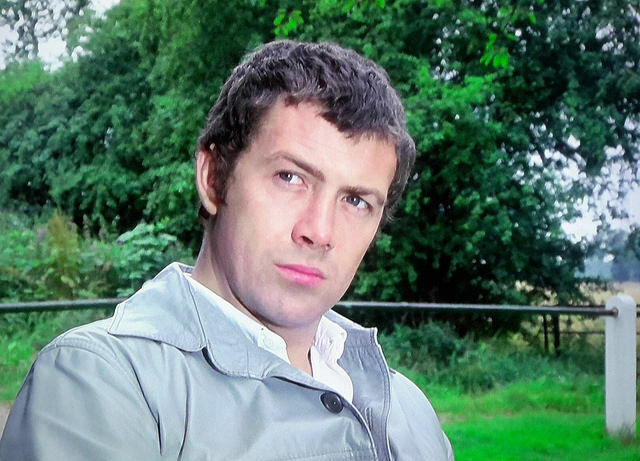 #424....." LEWIS COLLINS" - BODIE 3.7 . you'll never walk alone ! yes it is and thankyou for your comment. Absolutely fantastic shot, so crisp and clear showing all the details of his face, thank you! thankyou so much, i do love his expression here and thankyou for your comment. ha ha....that is exactly what his thought bubble would be saying...yes you are spot on. Thankyou. me too....plus the added bonus of how good he looks. He looks a bit skeptical - gorgeous, but skeptical. awww bless him....still i will take the gorgeousness any time. mmmm gorgeous isn't it and thankyou for looking. Love the tilt to the head and the look in his eyes. oh me too and what a sweet expression he holds here.